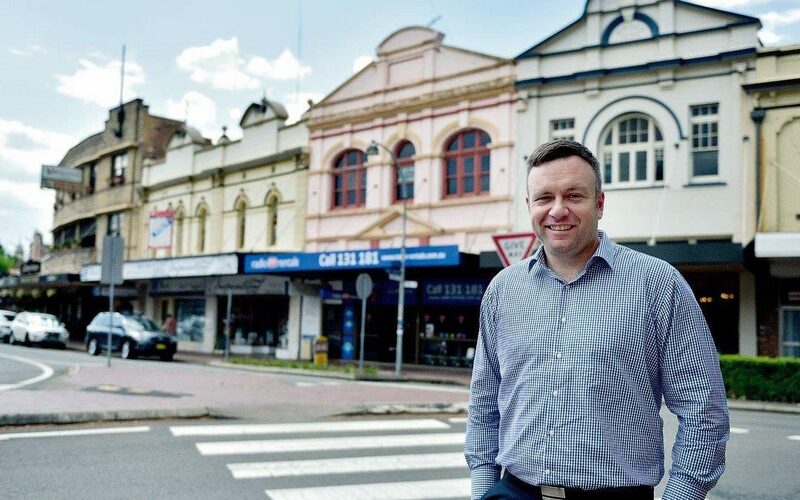 As my term as President of the Maitland Business Chamber comes to an end I wanted to use this column to reflect on what has been important to me and how much I have valued my time as leader of this unique business group. In my day to day job I work as an employment specialist and recruiter, and I love it as I build lasting relationships with a diverse group of people. I see my time at the pointy end of the chamber as an extension of this and therefore this piece will honour some of the fantastic individuals I have worked alongside or people who have had major influences on me as a person and as a leader. Firstly I want to thank the chamber staff who have had to put up with my constant ideas and projects. Fiona Buchanan and I formed a strong bond and worked really well together over a number of years and I think as a team created a platform for growth for the organisation. Brianna Reid has since taken the mantle and has been a pleasure to work with and is innovative in her thinking and is a passionate local that I believe in to help drive the chamber forward. To all of the Executive and ExOfficio members of the Chamber who have sat through a high volume of meetings I have chaired and contributed wise council to assist in the growth of the movement. Your dedication to our city is immense and I believe not recognised enough. Special mention must go to Pierre Malou who was my VP for the first 2 years of my leadership. He was an ear to bounce things off and a sounding board of my complaints. He is a true leader of people and to have him as my VP lead to great personal growth. My buddy Duncan Burke of the NSW Chamber, if anyone had to listen to me complain during my time at the helm it is this guy. I think he respects my thinking about the chamber movement and I have valued the discussions and time we have spent together. You have taught me about how to control emotion and guide a conversation more than you would know. The role only became available after Steve Thomson stepped down and I only agreed to fill his shoes if Greg Cox maintained the treasurer role at the beginning of my term. Greg is a quality human and I don’t like heaping praise on bean counters but this guy is special. Without him doing what he did for 4 years the chamber may not still exist. When it comes to politics I do not like taking sides and I could be described as a swing voter and no matter the colour of their team I have enjoyed working with all sides of the benches. Former Mayor Peter Blackmore was always a strong advocate for business in Maitland as was former NSW State Member Robyn Parker who I had the pleasure of working with before she retired from politics. It has been great to watch former Chamber casual staff member Meryl Swanson take the seat of Paterson and she has been a font of knowledge during her term. But my relationship has grown with Jenny Aitchison the most, the current NSW member for Maitland. I had known her in a former life (that seems like forever ago) as the leader of her own travel business but during her time in parliament she has really respected me as a person but also as the leader of the chamber. She has actively wanted to get engagement from our group on critical issues for our town. Thanks Jenny for being so inclusive of this newbie local leader. I believe the chamber needs to continue the work we have started on evolving it’s relationship with council and I thank the leaders of the MCC for listening to me take up this cause. I hope you continue to engage with our group as we are relevant to the business community in Maitland. Thanks also for allowing a passionate Maitlander to be apart of the #MyMaitland program – it was truly an honour. So after 2 years as VP and 3 years as President it is time I step down and let a new voice leads the Maitland Business Chamber. This doesn’t mean I will be any less passionate about the movement and the town. It is just time for me to focus on my other love Hunter Recruitment Group, which is experiencing great growth. I look forward to sitting off stage at the November meeting, handing out business cards as I get a chance to network and still being apart of a great business lobby group for the best city in the world.